I started rowing three and a half years ago. I was 63. I had given up golf because of my back, and I wanted something that would build strength and keep me fit and that was symmetrical. I called the VRC [Vancouver Rowing Club] and I said, “Do you have a coach you can match me with?” So I set out blindly with this coach who took me through this startup process. She taught me all the basics. That was down in Coal Harbour. If you can row in Coal Harbour, you can row anywhere. You’re contending with the big yachts coming in, other rowers, the tides, the waves, the seals, the deadheads, the wake from the SeaBus, the wake from the airplanes landing. It’s a bit of a tragedy waiting to happen. Then after about 18 months, I thought, “There’s got to be another place to row,” and I ended up out at Burnaby Lake Rowing Club. 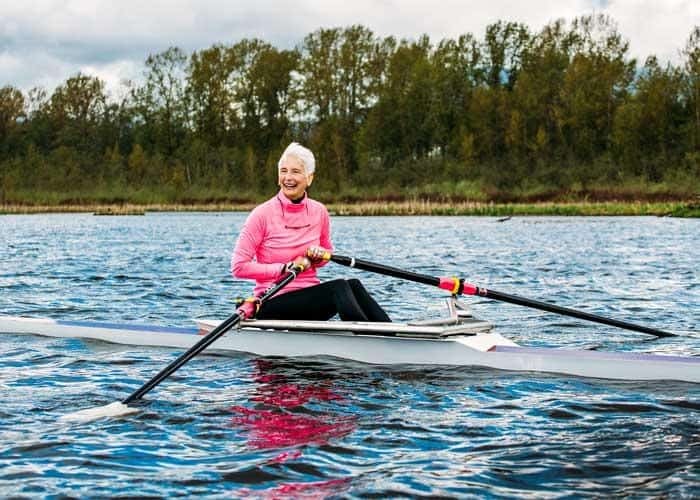 They are mostly elite rowers out there, and here’s this rookie, the oldest person on the dock. I approached the coach out there, whose name is Cinda Ewton, and she said, “OK, I’ll take a look at you.” So I went out for a little bit, and of course I was flubbing around. I came off the water, and she said, “Well, you’re teachable.” It was the ultimate carrot for me because I thought, “OK, somehow I’ve got to earn her respect.” So I worked really hard for the next few years, and Cinda is a fabulous coach with incredible patience. I feel so privileged that at my age I’ve found a strenuous sport that I just love. It’s very meditative; it’s very rhythmic. Being out on the water, just you and the boat, is something very special. 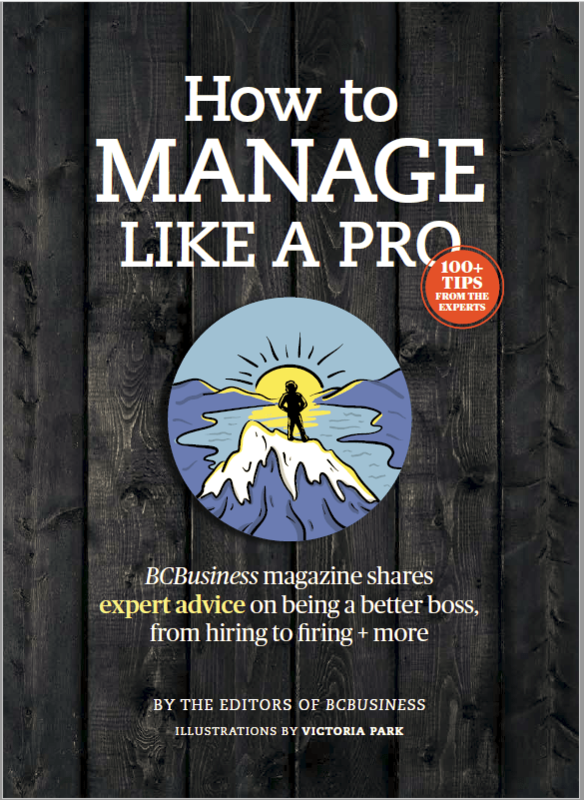 Nancy McKinstry is a director of HSBC Bank Canada and a former partner at Vancouver-based investment firm Odlum Brown Ltd. She is also the founding member and chair of the Minerva Foundation, which delivers leadership and mentorship programs for women.